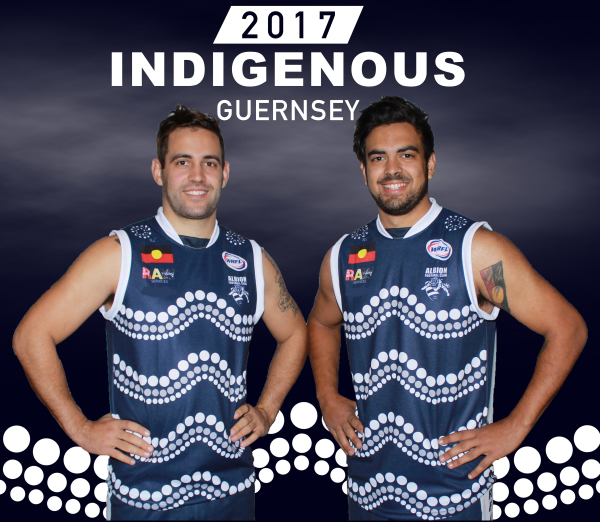 For the first time in history Albion will wear an Indigenous Guernsey this saturday against St Albans in the Round 7 clash that is also played for the Sweeney Cup. On this historic day, the Under 19's, Reserves and Seniors will all wear these specially designed gurensey by Doug Clinch, these jumpers have a special touch to them with intials R.C on the jumper in the memory of Kym & James Taylor's late mother Raelene. 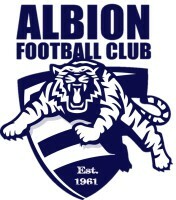 The three games will take place on Saturday the 27th May, with the Under 19's from 9:45am followed by the Reserves at 12pm and then the main game at 2:15pm, before the Senior game, we will be having a smoking ceremony aswell as the Didgeridoo being played as the boys run out. So make sure you get down on Saturday and watch the boys in action against St Albans!! Kym and James Taylor modelling the jumper.